So, remember I told you about the fellow “secret writer” at my corporate job? I had bought her book and am very happy to review and promote it here. The book NINE is a humorous look into the mind of a young woman going through nine months of pregnancy to have her first child. Pregnancy and birth is such a peculiar experience and is so completely different for everyone. Some women fall right into it. For others, it is not so easy. This is definitely worth investigating and writing about. Amber, the protagonist, goes through a lot during her experience, causing her to question herself, her relationships and indeed her very existence. This is SO true! I absolutely love the film and TV references, the cultural diversity (which raises questions of its own) and the wry humor in the midst of all the uncertainty. And of course, being a New Yorker myself, I love when this awesome city plays its own role. Now we will need to check in on the sequel and see how Amber is coping with motherhood in New York City…That’s a whole other story. I also am loving the ebook series, The W Series, this writer has written about an unconventional FEMALE urban superhero working on keeping the streets of New York City safe. This entry was posted in Uncategorized on November 10, 2018 by The Woman Hood. I am so happy and excited to announce the Official Release of my debut novel, It Takes Water. We were able to raise $833 through this event. With Jacqueline Tam, the talented artist who designed the fabulous cover of my book. This entry was posted in Uncategorized on October 21, 2018 by The Woman Hood. So, I am at the office chatting with a colleague, who congratulates me on my book and tells me that he has purchased a copy online in anticipation of my Book Release event. “She does?” I am in total shock, mouth hanging open. This lady has been extremely excited and supportive about my book, so to think that all along she was a published writer already, has me completely astonished. As soon as the other colleague leaves, I log into Amazon.com and look up her name. There she is in a delightful photo, Hey, I don’t have a photo on my Amazon profile page yet, I scroll further…this girl has THREE novels and a ten part super hero e-book series. WHAT??? I am excited. I am jealous. I am annoyed. Why did she not tell me??? There I was, talking about my self-publishing experience and inviting her to my book release. I felt like a right idiot. I bought her book on my kindle immediately. The next morning, I sent her an email – “I have discovered a writer I think you might like. Let me know when I can come over to chat”. She indicates that she is available, so I walk into her office bubbling with excitement, “I just read this really awesome e-book by a lady writer, I really enjoyed this book. I think you might like it too. Look, isn’t this a cool cover picture? Do you know this writer?? ?” I show her the book. We share a good laugh! And so began a new side to our relationship. We are no longer just corporate colleagues, no longer just fellow moms to young children, no longer just immigrants loving our New York experience, we have discovered much more in common – we are passionate about stories, we are passionate about Women’s Stories, we are passionate about telling these stories in writing…even as we show up as our “usual” selves daily at the office. This entry was posted in Uncategorized on October 11, 2018 by The Woman Hood. Hats off to Nike for the new Colin Kaepernick Ad and to Goeffrey Owens who was “job-shamed” this week. For both of these men, I say the Nike Ad makes all the sense in the world and should give us something to think about. Unfortunately, these days there are fewer and fewer examples of people who really believe and really stand for something. Last month, we lost two of America’s heroes – Aretha Franklin and John McCain – Heroes because they stood for their beliefs. They did not hide from their responsibilities and they did not cower in the face of opposition. So here is Colin Kaepernick. He is standing, or kneeling, for what he believes. He is making a statement. He never insulted anyone. Just knelt to make a statement. He didn’t rally everyone to do the same. If others wanted to, they did. If they didn’t want to, or were too scared to, or were paid not to, they didn’t. No matter…he was making his statement loud, clear and fearlessly. He has not played on an NFL team in two years. So yes, he sacrificed “everything”. But whom should we emulate? Whom should we want our children to grow up to be? Did you see the number of people who marched with MLK? Who is marching with Colin? Well, Nike decided to. And their stock price fell immediately. People posted videos on Social Media of burning Nike merchandise. You are burning your $200 shoes on Facebook because Nike says you should actually believe in something and not just be a follower and mindless consumer? Guess you just proved that you are. Because if you really thought about it, Nike is a corporation like any other and is making money off of you, the consumer, because you have to be like all the other “cool” folks around you wearing Nike stuff. I guess that bit didn’t offend you enough to not buy their stuff. And don’t you worry about Nike. This was a calculated risk I am sure, and there is no doubt that they will come back from this. Already, the entire Nike family like Serena, LeBron and Kobe, are rooting for them and for Colin. So, go ahead and burn your shoes…you’ll be back at the store soon enough to buy another pair to replace them. Nike will be fine! And then another “really smart person” decides to post a picture of Geoffrey Owens, who played Elvin in the Cosby Show, as he worked the register at Trader Joe’s. Here again is another man who believes in something enough to sacrifice everything. Unbeknownst to most people, that is what being an actor/artist entails. People are all too happy to watch TV and movies, to go to concerts, plays and shows, to read books, comics and magazines. But many haven’t the first idea how hard it is to create, promote and distribute these pieces of Art. It is easy to look at the performers, ridicule them and criticize them but there is no thought of how much effort, finance and yes, sacrifice goes into their lives…because their art IS their life and their livelihood. A true artist like Goeffrey Owens, a trained Shakespearean actor, is willing to sacrifice the security of a regular 9-5 lifestyle to be able to create, perform and share the beauty and blessing of his God-given talent. And there are so many more like him. There is no support for the Arts! So we are forced to live in two worlds. And it is not easy. And also in Aretha’s words…You better Think!!! Believe in Something! Even if it means sacrificing everything!! This entry was posted in Uncategorized on September 5, 2018 by The Woman Hood. Most of us dread this day and the time leading to this day. We complain about the money we give the government and we complain even more about the process of filing. And we do this every year. Same way every time. Much like we wait for Christmas to get all excited, we wait for tax season, so that we can complain. But John Oliver did an awesome piece about the IRS and taxes on last Sunday’s episode of Last Week Tonight on HBO and with the help of a really good sport in Michael Bolton, he made some solid points. We never think about it, but truly, we need to pay taxes for our government to run and for us to be able to live life as we know it. In fact, if we paid more taxes some things might even be better, but that is a whole other story. The point is, instead of waiting for tax season to come and then complain bitterly about everything to do with it, why don’t we take a new approach and be happy about tax day. Get a good accountant that you trust and feel comfortable with. Don’t just use the big name brands because they are big name brands. Find what and who you are comfortable with. I used to have my taxes done at H&R Block because there was a really nice lady that I saw every year. She understood me, my work and my way of record keeping. She was always very willing to explain if I had a question, and she did her best to get my best returns. Then she moved to Arizona. Many friends and family members of mine go to private CPAs who do taxes as a home business. There are not-for-profit agencies that help people with their filing too. It’s all about your comfort and your trust. There are many options out there. Don’t want to deal with any one at all?? Do it online! Especially if you are filing a simple return. The IRS offers online filing for free. And there are other online options as well, like TaxACT.com, TaxSlayer.com,HRBlock.com and many more. After my H&R Block lady moved away, I decided to give TurboTax a try. I have used it ever since. Even after my filing was no longer “simple”. TurboTax is reasonably priced and walks you through every single detail, and if you are still unsure, you can speak to someone in person AND buy Audit Defense when you file so you can have a professional work with you in the event that you get audited. Become an Entrepreneur. This is no small idea. Being a business owner offers you tax breaks and opportunities that you would not otherwise have. So you are not only making some extra money from the business through the year, but you might get some cool breaks and maybe some cash back at tax time too. That makes for a happy tax day, no? Stay organized year round! Don’t wait until tax season to pull out your receipts from where you tucked them into books and pockets and under trays or cups somewhere around the house. At the beginning of the year, set aside a box or a large envelope or ZipLoc bag for your receipts and anything tax related for the year. When you have a new receipt, it also helps to label it right away before putting into the box. This avoids the headaches that come from wracking your brain trying to remember what on earth that faded receipt from 11 months ago was for. If you want to be really good, you can actually store your receipts sorted by category. This makes filing your taxes so much easier for you. And if you are using an accountant, they would be so grateful for making their job that much easier. You might just become one of their favorite clients. Simple rule of Law of Attraction. What you think about, you bring about. If you continue to have a negative attitude about taxes and tax season, that is what will come back to you. Instead, be positive. Be happy to pay taxes. Be grateful that you are able to do so. Look forward to filing your taxes. The fact that you are doing so says that you have been a part of the flow of money in the last year. And remember, that is the purpose of money – to flow! And not be stagnant. So let the money flow to and from and back to you and be grateful! Be Happy! This entry was posted in Uncategorized on April 15, 2015 by The Woman Hood. In honor of Martin Luther King Day, I have decided to finally join the discussion that has set social media on fire. When all the talk began, I was determined to keep silent on this issue. But the other day, while searching for “News”, I was bombarded three times by the Selma-Oh-So-White-Oscar headlines in both digital AND paper media. First of all, I am appalled that this is what we have come to deem as “News”. Secondly, I was finally pushed over the edge…I need to say something! As a preface, I love historical pieces. I love civil rights movies. I love movies in which slaves overcame in some way or other, sometimes just by surviving. I love films that honor the black struggle and the sheer strength and incredible courage black people have displayed to bring us to where we are today. Growing up in Nigeria, I devoured television series like North and South, Roots, movies like A woman called Moses and countless documentaries about the civil rights movement in America. I was amazed at what had evolved from the misery and gloom of slavery – talented, well-spoken people like Sidney Poitier, Ruby Dee and Ossie Davis, Harry Belafonte, Diahann Carroll, James Earl Jones, Oprah Winfrey etc etc etc What black person did not want to come to America where black people overcome? We got to the movie theatre with a bare 15 minutes to spare before the movie began (meaning before the trailers began). At the box office, I was concerned that we would not get tickets because I had overheard a group of black folks nearby lamenting that something was sold out. But turns out, there were still tickets available. We ran up the 7 flights of stairs worried that we would not get a good seat but when we arrived at the theatre, it was empty but for four people. Yes…FOUR!!!! I was shocked! In the minutes that followed, before the film began, the theatre only got about half full! I also have to add that the demographic of the audience that was there was predictably predominantly white and older. My husband and I were just two of a handful of the younger black audience. I was very annoyed! This was the first Martin Luther King biopic. Made by a female director of color. Where was everybody?? Where was the support?? Turns out, they were all in the theatre down the hall watching Annie – Which was SOLD OUT! Ok fine! Maybe folks didn’t want to see a downer on Christmas day, Maybe they had plans to see it later, Maybe they had missed the ten million commercials and posters EVERYWHERE. I am sure they all had a jolly good reason for not supporting black history and black filmmaking. But as the weeks have passed by, looking at the box office numbers, there has not been much of an improvement. We all hail Martin Luther King, sing songs about him, rap about him, call on his name and his dream every time we feel wronged and yet….here’s a film about a big turning point in the civil rights movement and…where are we now??? Putting my annoyance aside, I relaxed to enjoy the movie. It was well made, not a bad film, but leaving the theatre, I found myself filled with questions. Something in the way the story played, made me question it. Some of the conversations were so on the nose and unlikely sounding, that I just couldn’t help but wonder how much of the film was creative license and how much was historical fact. It is expected of course, that we can never know what was really said in certain historical situations, but then the job of the writer is to make it sound real enough to make the audience believe that it could have happened that way. Somehow that did not work for me. I left the theatre with so many questions, when I got home I got on the internet and began researching any and everything about the Selma march. And so my chagrin grew. I was extremely disappointed to find out how much of the film was factually inaccurate or incomplete. Things where added for dramatic effect while other things which would have had way more of a dramatic impact by being TRUE, were left out. Now I was not sure whether to be mad that no one was seeing the film, because I was not sure if they should see a piece of history portrayed inaccurately. I decided to remain silent about it, because as expected, it would become a discussion of black vs white and of LBJ vs MLK, which it did, and which it did not need to be. It is a simple matter of artistic choices which did not necessarily work for the film or for history. Personally, I would have preferred a more honest portrayal. It would make Martin Luther King no less of the hero than he is and always will be. And all this talk of not wanting to have a “white savior” in the film is hogwash. The reality is that we live in a country that is predominantly white, and especially in the time of Dr. King, the law was completely run by white folks, so guess what? You are not going to be able to do it on your own….yes…you DO need the “white savior”, except…that is the name you have given him…that is not what he is. He is a partner! A helper! Same as all the white people that came to join the march and any other white folks that supported the cause. Are we going to deny their help just because they are white? Needless to say, the inaccuracy of the film led to a lot of controversy…but that was just the beginning. Before the movie opened nationwide, it had a 100% rating on Rotten Tomatoes. However, when I saw it, I questioned that rating. Yes it was a decently made movie but 100%??? No way. And the more I thought about the film after seeing it, the more I disliked it. The main problem with the film is that the script is not strong enough. It needed a great deal of tightening. Conversations, speeches and scenes dragged and felt cumbersome. Dialogue was heavy and on the nose. It was so unsubtle and in your face, it felt unreal. Like in the scene when J. Edgar Hoover was telling President Johnson that they could “silence” Dr. King or “get to his wife…since there are already problems in the marriage”. It just sounded ridiculous. And there were way too many conversations anyway. Long, drawn-out, un-necessary for the story. They just slowed the story down way too much. Scenes seemed to be thrown in for no strong reason, like Martin Luther King waking up Mahalia Jackson in the middle of the night to hear her sing to him over the phone. Really? You want to show me a man of faith and this is all you could come up with? Or what about the opening scene showing the famous church bombing killing four girls in Alabama? Yes, we know this was a tragedy but that was a whole other story happening in 1963, years before the Selma march. The bombing was not even mentioned again until later in the movie during Dr. King’s speech at Jimmy Lee Jackson’s funeral. In other words…it had nothing to do with the story at hand and if it did, it was not clearly shown. The movie could just as well have opened with the scene of Oprah playing Annie Lee Cooper, a woman who was rudely denied her right to vote. That felt real and was the basis of the whole darn march in Selma anyway. Other scenes felt too staged for my liking, even the scene when James Reeb, the young minister from Boston was beaten by Klan members which should have had a profound impact. Little digression here, interesting fact; the minister died later after he had to be driven 2 hours to the nearest hospital in Birmingham after being turned away from the public hospital in Selma. That’s how bad it was in Selma. How is that for dramatic effect? The wicked white men, were just that – wicked white men. They, like most people in the film, were so one dimensional, they felt like caricatures. Of course we know white men really did treat black people in the most evil of ways in those days, but the movie could have added some depth to make it a little more human. Even the vilest person you can think of has another side. Human nature is complex in that way. Look at 12 years a Slave – Michael Fassbender’s character. Evil! But layered! Not the same way all the time. Showed vulnerability, jealousy, fear, even love. A complete human, no matter how wicked. I personally did not feel that the supporting characters were properly introduced, I realize there were many, but if they were important enough for a little blurb to be written about them at the end of the movie, then we should have known who they were during the movie. For example, I did not realize who Andrew Young was till the end of the movie. It felt to me as though everyone of import had their chance to do some kind of a monologue. So the movie felt like it just moved between monologues and you just had to wait till the next person had their turn…like Coretta eventually got her moment when she responded to the recording the FBI had sent them of Martin Luther King supposedly making love to another woman. Too stagey! And even though some people feel that this movie took a closer look at the relationship between Martin and Coretta, I felt that it was not strong enough. To me these scenes felt rushed and flushed over. At the risk of repeating myself – no depth. I have too many complaints about this film to give it 100%. It’s more like a 60% to me. And much of that score is thanks to the good performances given by the ensemble cast. I am a fan of David Oyelowo and I was thrilled that he was going to play this role. I thought this would do for him what Ray did for Jamie Foxx. But alas, Selma is no Ray. David is an excellent actor, but he did not have enough to work with here. Apart from being a great orator, he did not have a chance to really show the depth of the man. Like I mentioned when speaking about the wicked white men, his character was somewhat one dimensional. I guess we were supposed to take his implied infidelities as layers to his character? or maybe his blurting out that Coretta seemed enamored when she supported Malcolm X was supposed to add color? Well, if that is the case, the movie did not do a good job of it. Just briefly touching on it here and there and mostly from Coretta’s point of view. We still did not get to know how he really felt or what he really did. No, not enough to work with. 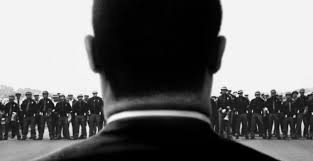 Selma was not an awful film, it was good, I just wish I could love it more. And now we really got the controversy wheel turning. The “So-White Oscars snubbed Selma”!!! I can’t believe we are having this discussion. Instead of realizing that maybe the film is not as strong as some may think, we immediately play the race card and accuse the Oscars of discrimination and exclusion. One article pointed out that this will be the whitest Oscars since 1998. Okay, so I guess all those white Oscar people must have been sitting around all those years just waiting for a chance to NOT nominate a black film. Ludicrous! Some say “No blacks were nominated”-False! Selma was, after all nominated for best picture and last time I checked John Legend and Common were still Black. So is the complaint that Selma did not get more nominations? Or that there are not more films being nominated. Well, to address the second question…what other films should have been nominated? Ride Along? Fact is…there are not that many good black films being made, seen and supported enough for us to have more contenders. How about we start there? Support these talented black filmmakers who are telling wonderful stories that are just not getting told. As to Selma getting more nominations….for what? Screenplay? Directing? Performance? As the saying goes, “you can make a good screenplay into a bad film, but you cannot make a bad screenplay into a good film” It all starts with the screenplay, and unfortunately the Selma screenplay is not nearly strong enough. And with that, a lot of the other things fly out the window. Ava DuVernay did what she believed was best for the film, and I, for one, am ecstatic to have a black woman directing a film of such caliber, but just the fact that she is black or a woman is not enough to garner a nomination. The work has to speak for itself. It needs to be “great” or at the least “very good” to be nominated, not just “good enough”. No matter! Ava has made it into the big league. She has a career ahead of her. We rejoice with her for that. Performances? These were killed by the screenplay. Like I said before, David Oyelowo could have been great, if he’d had more to work with other than just being a gifted orator. Before we all cry wolf, it is important to understand the Oscar rating and voting system to understand how movies are chosen for nominations. If we would do our homework better, we would save ourselves a lot of misplaced aggravation about racism. I believe that even Dr. Martin Luther King would seek to understand it better before he called a meeting to discuss Oscar racism as Rev. Sharpton is doing. We are too ready to jump on the band wagon the media builds for us before really asking where it is heading or what it involves. So the Huffington Post (which I usually love) and many other outlets declare the Oscars are too white and take the Black anger upon themselves to promote and they rile up everyone else so that once again we have a black vs white discussion. But before all the followers began to follow, did we look up what films there were to choose from? Did we watch every film and break it down by art and craft to determine which was the better film? Did learn what directing is and why a person would be voted as being a good director? Did we look up the Oscar Preferential Voting System (Google it! – there are several articles out there) to understand how all this works? Of course we didn’t! We just did what they knew we would do, What we have been programmed to do – join in the uproar and shout “RACE!” We need to learn to do our own homework and think for ourselves. Not the Media, nor the government, nor our black leaders should be doing the thinking for us. People please!!! Deciding what film to nominate is a lot more subjective and a whole lot less serious than judging whether a policeman used inappropriate force against an innocent man. Let’s not make this subjective entertainment matter as serious as Ferguson or Staten Island. Jennifer Aniston did not get nominated for her performance in Cake which everyone said was Oscar worthy….oh, but she’s white…so there’s no controversy in that. Unbroken was touted as an Oscar contender when it came out – But nope, did not get the Oscar nod! But then that was a white Angelina Jolie…so who cares? Right? Look, I am not naïve enough to think that race never comes up. This is America after all, EVERYTHING is tarnished by race. Last year, 2014 we had ample black Oscar nominations – Chiwetel Ejiofor, Barkhad Abdi, Lupita Nyong’o, Steve McQueen…And guess what? 12 years a Slave actually WON Best Picture!!! And Lupita won best actress!! Chiwetel’s performance as Solomon Northup was totally deserving of best actor, but I don’t recall everyone up in arms calling racism when Matthew McConaughey won instead. Steve McQueen could have had best director over Alfonso Cuaron. But where was Al Sharpton then??? Oh, I get it….Hollywood is racist when the film WE want is not accepted as good enough (i.e.Selma) but at other times it’s not so racist?!?! My dear people, it is not ALL about race, we need to accept that sometimes it actually has a lot to do with quality? Do we want to be handed Oscars based on race? Or based on being the best? Selma got nominated as best picture, Yay! We should rejoice at this triumph. It is not likely to win! The song Glory was nominated as Best Song and will most likely win, not because it is black, but because it is truly the best song. And that is the way Dr. King would have wanted it. Dr. King would have wanted a black film to actually BE the best film to be voted as such. Dr. King would encourage us to support each other, to support our black talent, to make better, stronger films. Instead of calling out the “Oh-So-White-Oscars”, let’s come together and build up and lift up new black talent. Let’s support our films, help out when we can and put an end to the crab-in-the-barrel syndrome so common among people of color. We have come a long way, but have a long way yet to go. But the great news is that we will get to Dr. King’s proverbial mountain top. And after that, if you have not already done so, go see Selma – show your support for Black Cinema where it matters – in Dollars! This entry was posted in Uncategorized on January 19, 2015 by The Woman Hood. Ok, and it is in this very way, that the “legitimate excuses” of life begin to sneak in against your resolve. Today is day 3 of my 30 day “Back in the Saddle” quest for a healthy life style challenge. And already, I see the disasters. On day 1, I went to the gym…as I documented in my last post. On day 2, my muscles somewhat sore, and having received a little bad news about a financial situation, I opted for bed instead of the gym. Today, Day 3, I have been gong ho all day, ready to head for the gym after putting the kids to bed. But lo and behold….I had forgotten that it was my mother-in-law’s birthday, and she was being taken out for dinner by the family. Great Plan…Greater problem…did not organize child care!!! So guess what? I am home babysitting! I am not at dinner and I am not at the gym. And I am very happy to share that I have a few beautiful women who are taking this challenge with me. I am very excited about this. 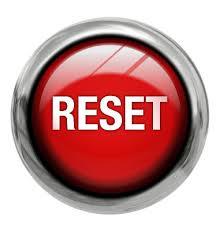 And for their benefit, because I allowed myself to be distracted since announcing the challenge, I am hitting the RESET button and we are going to officially start again! Remember, the first goal is to simply work out for 30 minutes, 3 times a week! No pressure about what to do, just do something! You could take a brisk walk for all I care, just MOVE!!! OK, so the countdown is on. Let’s do this! Join the challenge with me on Facebook HERE! This entry was posted in Uncategorized on November 12, 2014 by The Woman Hood.